Managed print services help businesses consolidate, optimize and streamline printing activity in a way that leads to process improvements and financial savings. The use of this service is becoming widely adopted by organizations across various industries, highlighting an opportunity for print marketers to take notice – and advantage – of. Some would argue that technological developments and advancements in the digital landscape have slowed the growth of and demand for print services. However, in a piece for Gulf News, Jyoti Lalchandani refuted this sentiment, pointing out that this sector contains significant opportunities for print suppliers as well as their partners. "For the end user, a print services contract removes the need to procure print devices, purchase consumables and manage the maintenance schedule, all in return for a fixed payment to a third party," Lalchandani explained, adding that print service providers are able to secure better hardware prices than end users could. In the eyes of the users, then, print distributors aren't just providers of the hardware, but a means of enhancing business efficiencies. 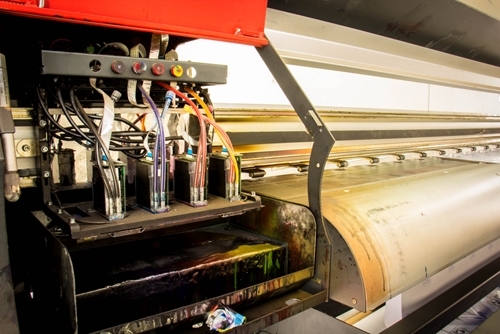 The source went on to state that "the print environment is evolving towards a solutions-based approach, freeing up businesses to focus on doing what they do best and leaving the print infrastructure to the experts." By gaining a more comprehensive understanding of the myriad of benefits that MPS providers offer, print marketers can hone their selling strategies and deliver more effective communications and messages to the businesses most likely to listen. The first benefit is the most obvious and important. It is the main factor that fuels nearly every business partnership, investment or process: cost-savings. There are a number of ways switching to a managed print service provider can help organizations uncover opportunities to reduce expenses. For example, corporate executives will be able to gain insight into which printers are being used, by who, for what and when. Ultimately, this translates into having the ability to identify how much the printing activity throughout the company is costing and where reductions can be made. Gaining more visibility enables business leaders to leverage more useful information, then exercise greater control over print management. MPS can also help decreases costs associated with equipment and supplies, such as ink, toner and paper products, business forms and documents. Another way managed print service providers can help lower business costs is by optimizing workflow processes. By eliminating operational inefficiencies, companies are able to increase speed to market and improve the overall quality of customer service and satisfaction. Furthermore, by leveraging a print solutions provider that specializes in a wide range of technologies and services, businesses can consolidate the number of third-party suppliers they work with and streamline the printing and communication supply chain. The amount of cybersecurity risks is growing each day, with businesses facing increased pressure to safeguard their computer networks and ensure end-to-end information protection. Many people tend to think about computers as being the only attack vector for hackers. And while they are certainly a primary source of data breaches and digital disruptions, just about any electronic or smart device can be a target for cybercriminals – and that includes printers. Given the severe damages that can be incurred as a result of even a minor penetration of an organization's infrastructure, companies can't afford to overlook the management of any of their technological processes. Utilizing a quality and experienced MPS provider can help secure the safety of printing processes. Another way MPS can reduce business-related risks is by ensuring industry regulations and compliance standards are met. Furthermore, optimizing print use and activity can help companies demonstrate their environmental responsibility and efforts to reduce their carbon footprint. Because printers are still very much an essential element of business communications and payment transactions, making sure they are managed, controlled and optimized by a specialty provider with the highest quality of experience and knowledge possible is a worthwhile investment. By focusing on these key benefits, print marketers can help companies understand the true value of transitioning to managed print services.